Mobilbet is a rather eccentric bookie with a very unique website design. Their motto is “win anytime, anywhere” which hints at their cross platform optimization; mobile, tablet, desktop. The bookie will give you a good impression by its concise website approach, which allows you to dive straight into the betting action. Mobilbet is giving us something we’re already all too familiar with among bookies. You can bet on full time winner, spread and over/under. This seems to be a safe selection of betting markets for most bookies nowadays. The eSports offering overall is where Mobilbet shines a bit more, as they offer a variety of tournaments and leagues – both big and small. The types of competitions you can find are Starcraft 2’s Global League, League of Legends’ LCS, Dota 2 Majors, Dota Pit League and more. Naturally, what’s on offer varies over time. Live betting is not something you’ll be able to find for eSports matches at Mobilbet. You can check out EGB if this is an important aspect of your betting activities, as they are more or less a pioneer when it comes to in-play eSports betting. The bookie welcomes new players with a marvelous 200% deposit bonus. The bonus match percentage is quite substantial, however the amount is not, as it goes up to €30. Nonetheless, it is still in line with most mainstream bookies. You must wager your deposit and bonus 5 times before making a withdrawal, at odds of 1.80 or more and only on doubles. Mobilbet may not be the first bookie to spring to mind when you go about your betting endeavors, but this is a relatively established brand with a longer history on the scene. Moreover, they are licensed and regulated by the Malta Gaming Authority – the most reliable and respected jurisdiction in Europe. Mobilbet support consists of trained staff that are always ready to assist with your queries. Well, almost always. Support working hours for live chat are 11:00 – 15:00 CET, while e-mail support is active between 12:00 – 21:00 CET. Telephone support is unavailable. Lastly, you can browse through the FAQ section in hopes of finding a resolution of any issue you may have, as it is quite comprehensive. The bookie’s payment selection is more than satisfactory, as almost every popular method is at your disposal – be it for deposit or withdrawal. VISA and Mastercard credit and debit cards, alongside Maestro, EntroPay, Trustly, Neteller, Skrill and Paysafecard. Deposits up to €250 have a 2.5% fee, and anything past that sum is free. In addition, you have 4 free withdrawals per month, and additional ones have a fixed fee of €5.  Mobilbet’s website is a pleasure to behold, as it is extremely lightweight, intuitive and well compatible across your desktop, mobile or tablet. The eSports menu can be found to your left at the very bottom of the sports listing.